People hurt in truck accidents caused by negligent truckers suffer much more catastrophic injuries and deaths in comparison to ones where two passenger vehicles are involved. According to the National Highway Traffic Safety Administration, 73 percent of the victims of truck wrecks were occupants of other vehicles in 2014, with 3,903 fatalities and 111,000 injuries. If a family member or you was injured in one of these accidents, you of course want to hold the truck driver responsible for compensating you. However, it would be even better if you could prove that his trucking company is liable too. Holding the trucking company responsible for its trucker’s negligent actions is not always a given. Generally, trucking companies are responsible for their own negligent actions, such as negligently hiring or retaining the truck driver, or failing to follow federal regulations governing the trucking industry. But if you do not have a separate claim against them, another way to hold the trucking company responsible is through the theory of vicarious liability. 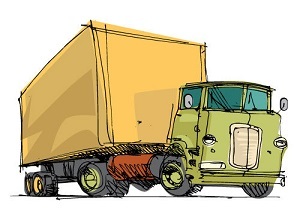 A truck driver is acting within the scope of his employment when his actions benefit the company in any way, even if he receives a benefit too. If a truck driver violated his company’s rules or polices, the trucking company could be held responsible when his actions are related to company business—the case in the majority of crashes. In some cases, if a trucker engages in a criminal act, it would be outside the scope of his employment. If a truck driver drops off his trailer at the end of his shift, but drives his truck on personal time, this would probably not be within the scope of his employment. In any truck accident case, you want to hold as many parties as possible responsible for compensating you. Why is this so important? Even if the trucker’s negligence is black and white, he may not have sufficient insurance coverage to fully compensate you. His trucking company’s liability insurance policy will be for a higher amount, making it much more likely that you will receive the value of your claim. Truck crash claims are more complicated than cases involving passenger vehicles, due to the different forms of proof that may be required and the federal regulations governing truckers and trucking companies that could show their negligence. In addition, because your injuries may be more serious, the value of your claim could be greater. This could result in the trucking company’s insurance company fighting harder to deny or reduce your claim. Let attorney Steve Lee take over the burden of investigating your accident and negotiating your settlement so that you can focus on recovering from your injuries. Call our office today to schedule your free, no-obligation consultation.